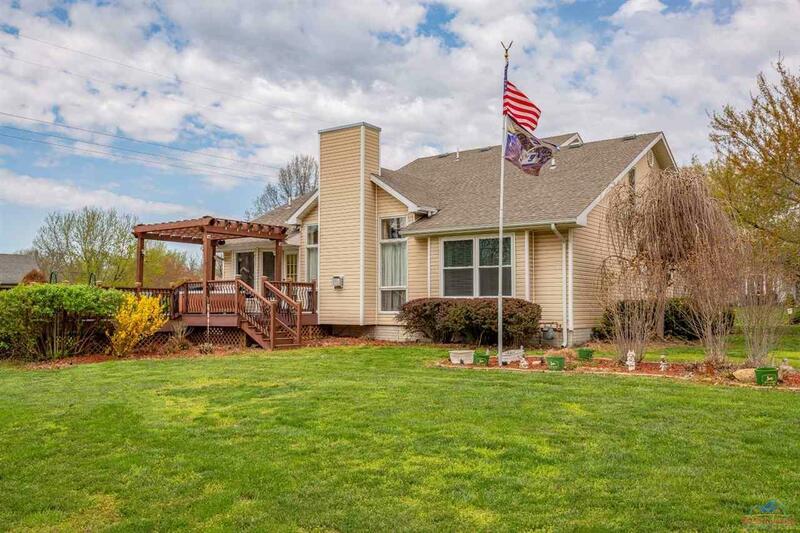 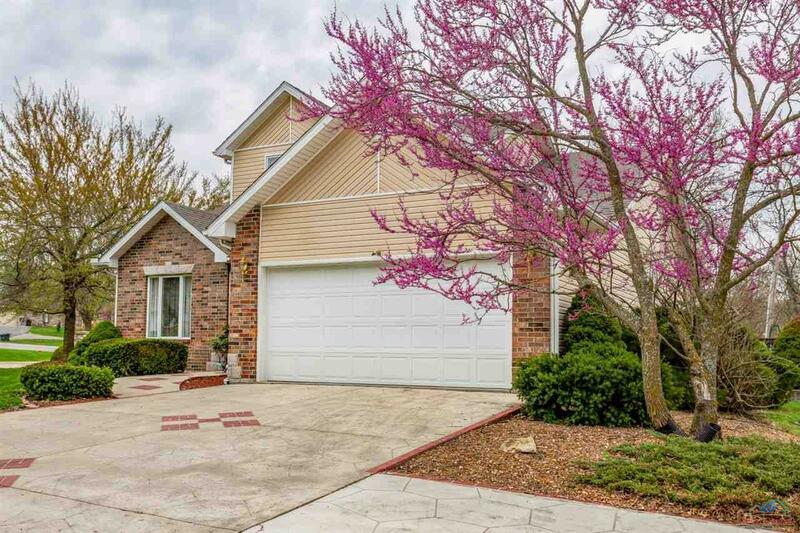 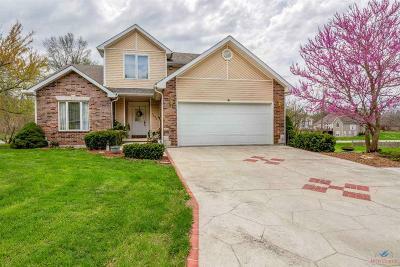 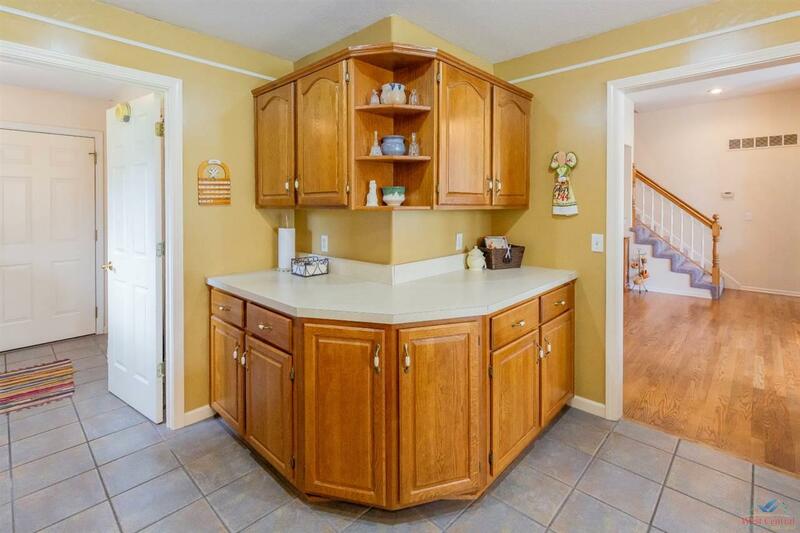 Beautiful 4 bedroom, 3.5 bath home in Hunter&apos;s Ridge subdivision. Attractive custome decorative concrete greets your guests as they walk up to your new home. 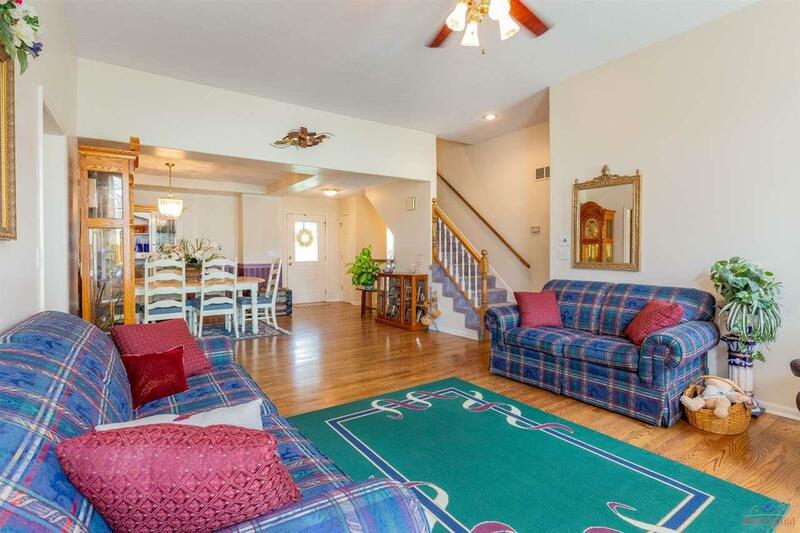 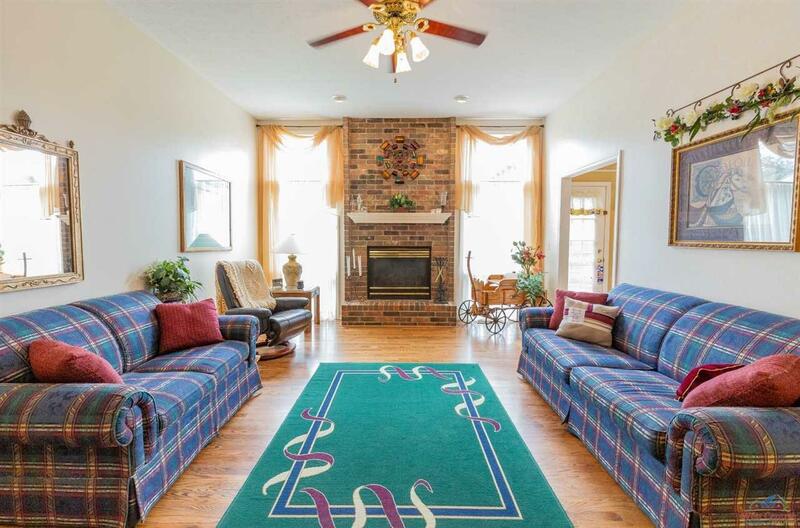 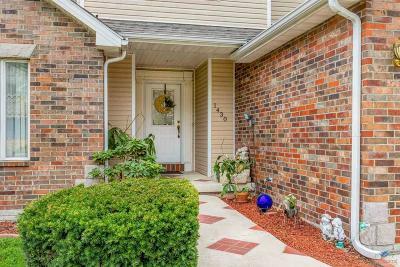 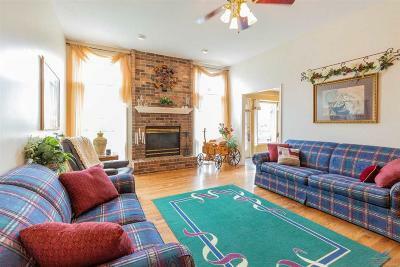 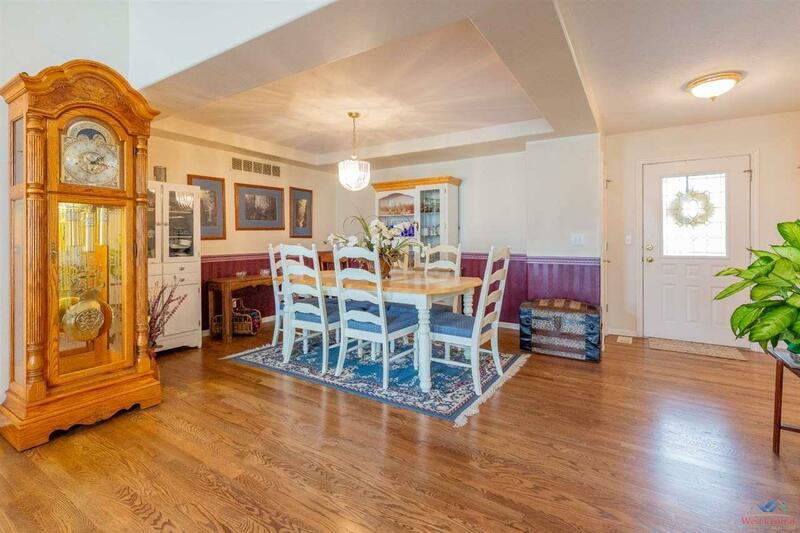 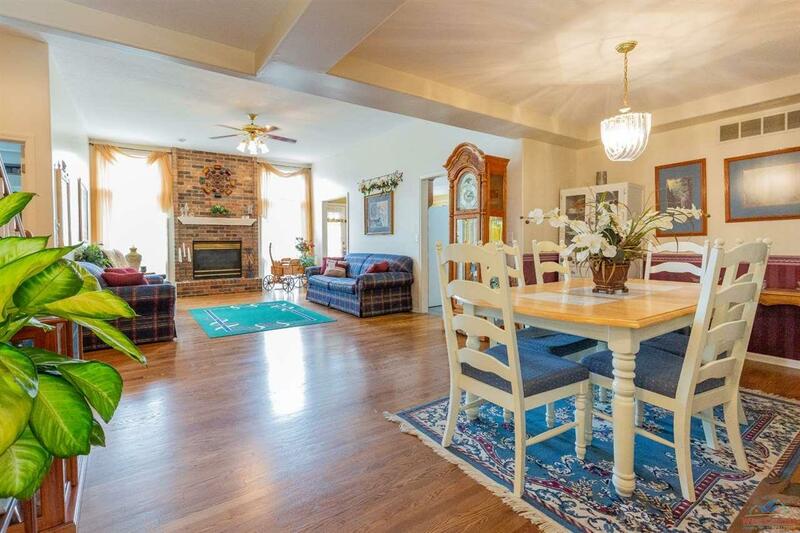 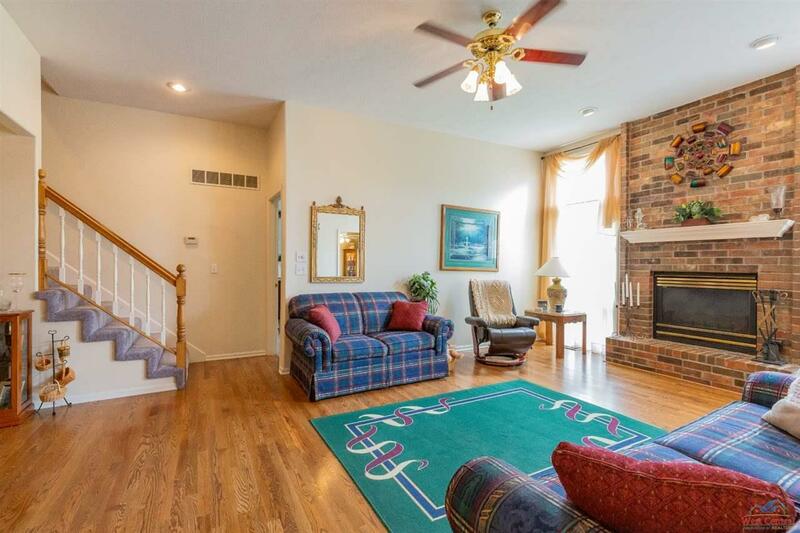 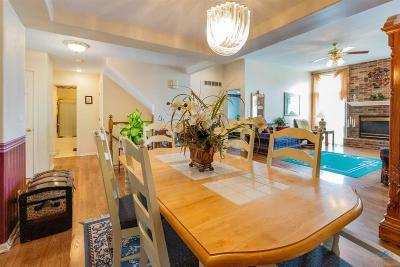 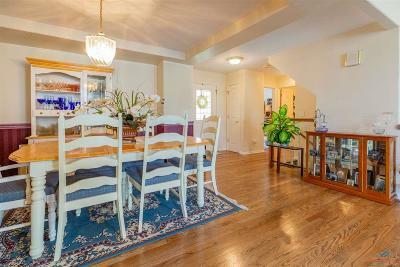 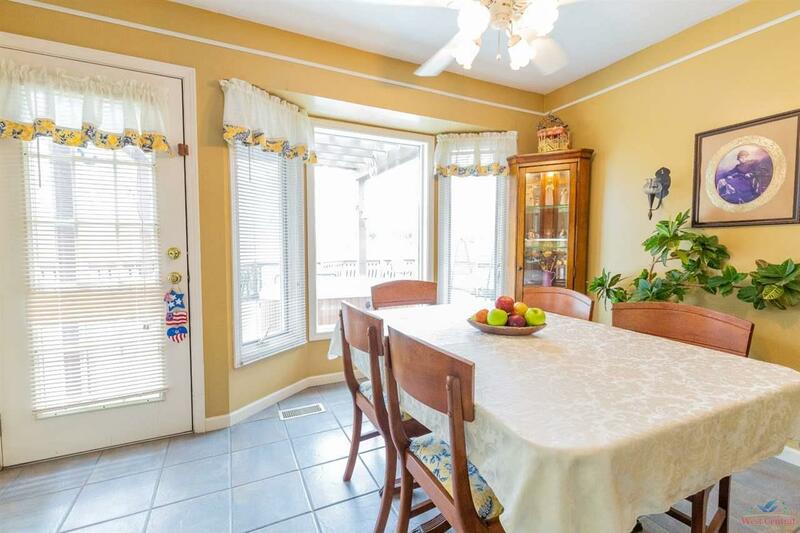 Large, welcoming living room with gorgeous brick fireplace and is open to your dining area. 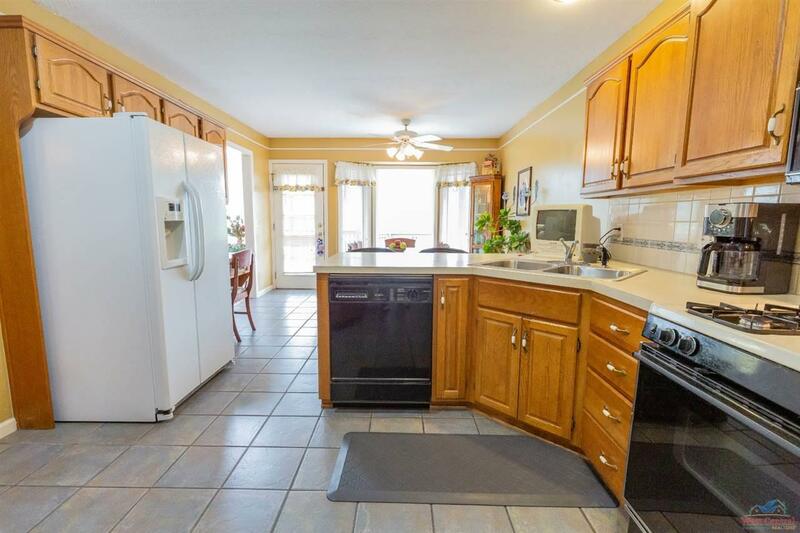 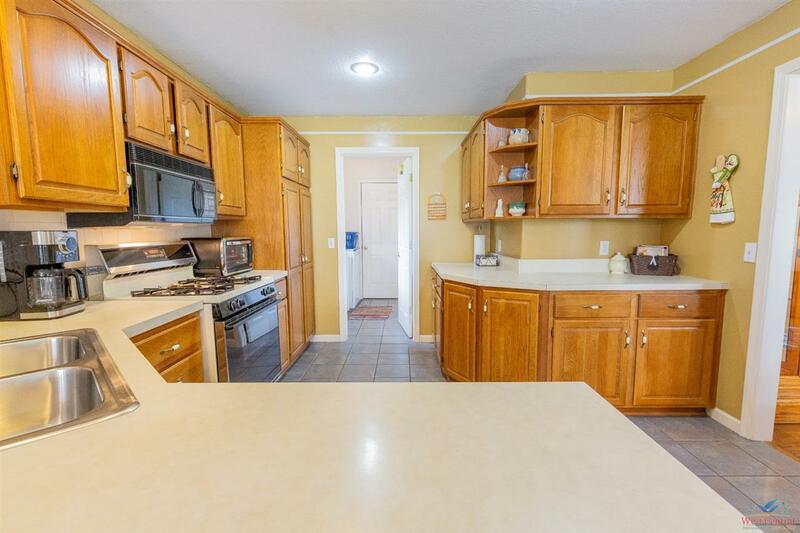 The large eat-in kitchen has an abundance of counter space, cabinet space, built-ins, a breakfast nook and gives you access to the back deck. 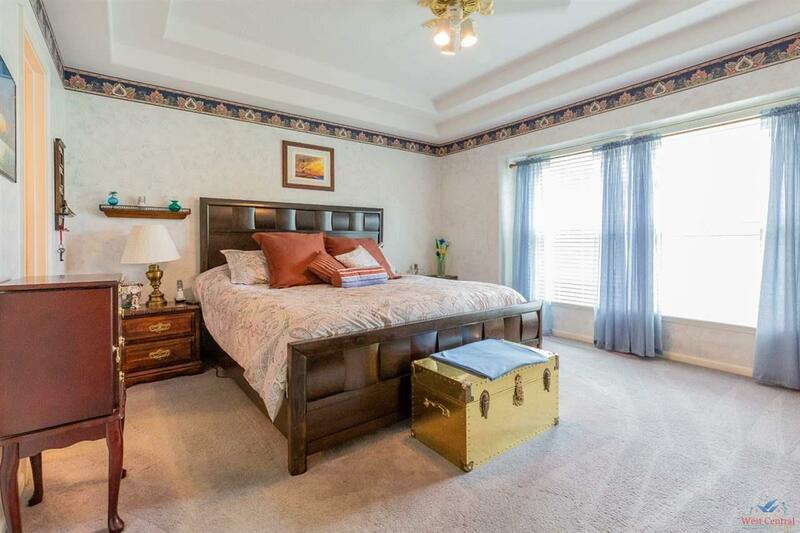 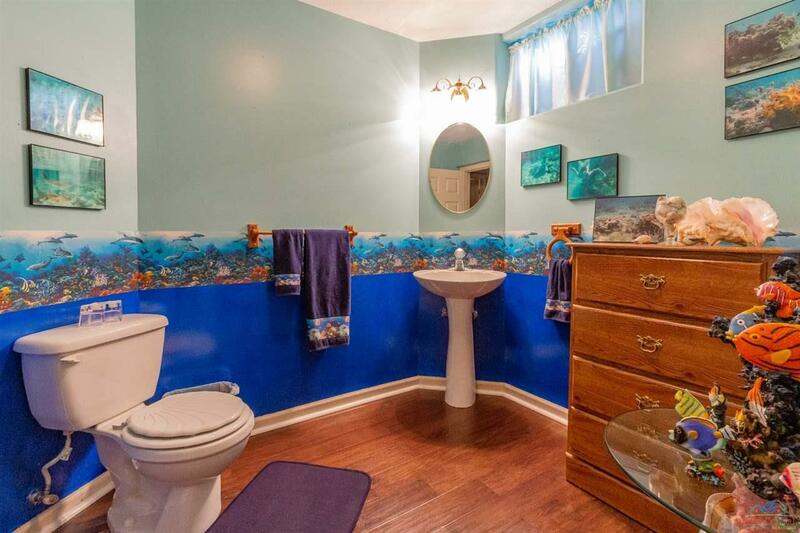 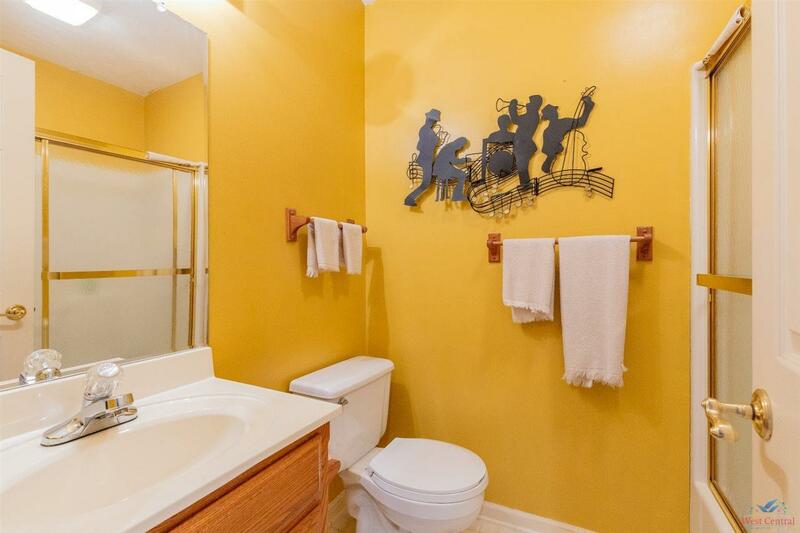 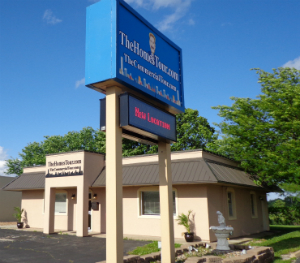 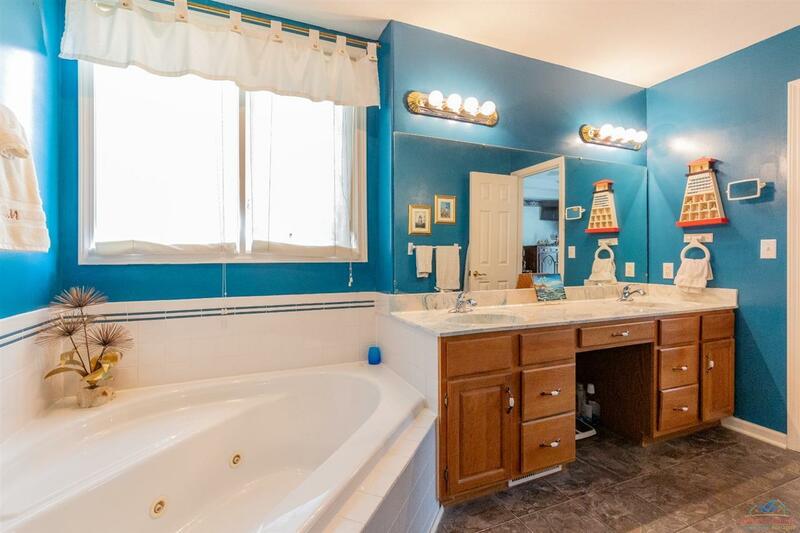 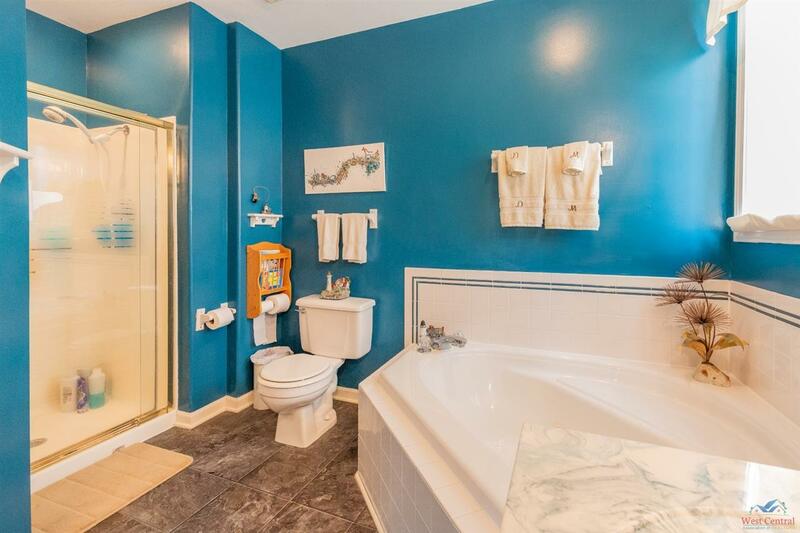 The main floor master-suite has separate shower & garden tub and a double vanity. 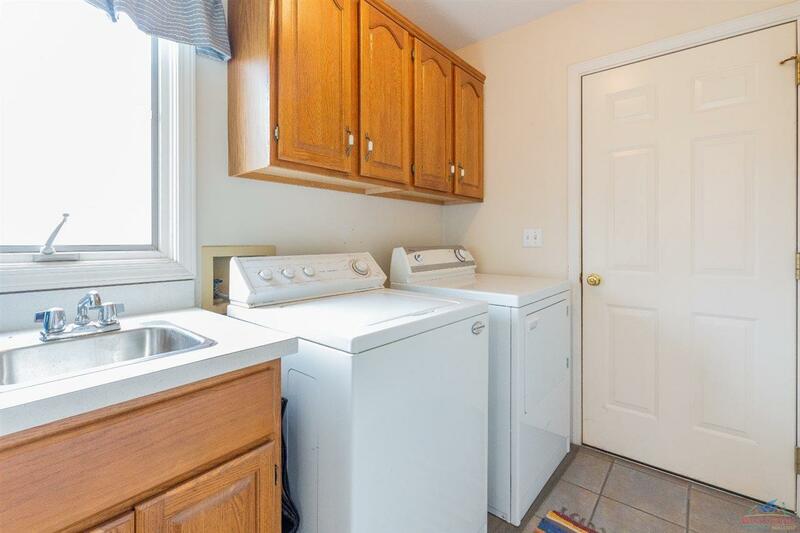 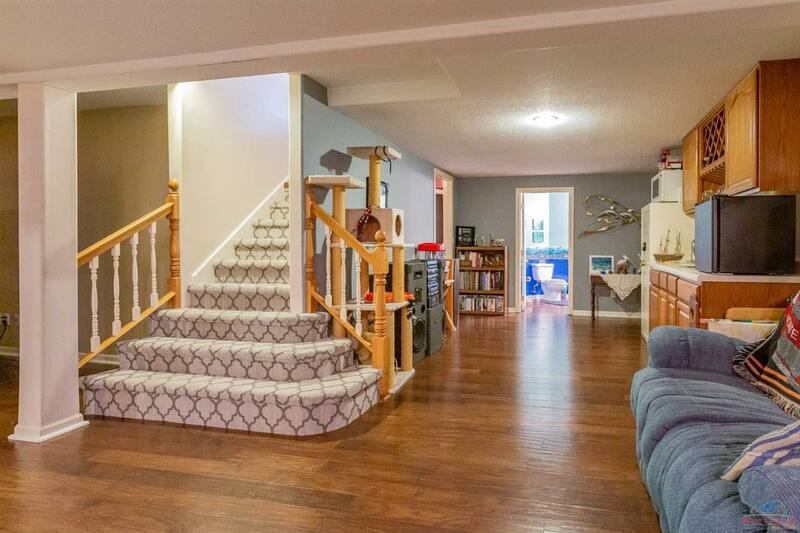 To finish off the main floor you have the 2nd bedroom, 2nd full bath and your laundry room. 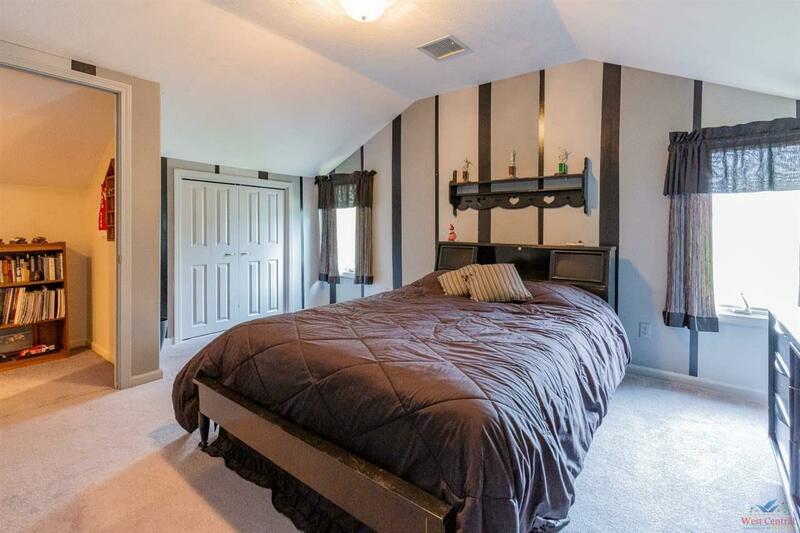 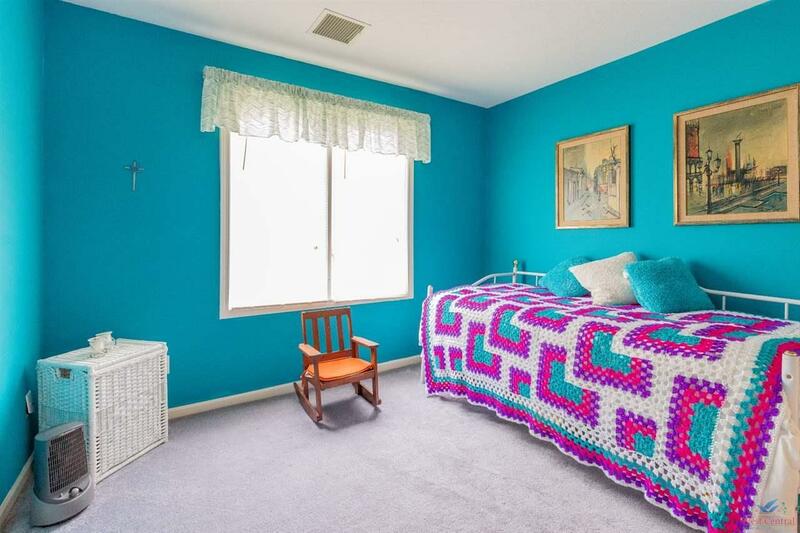 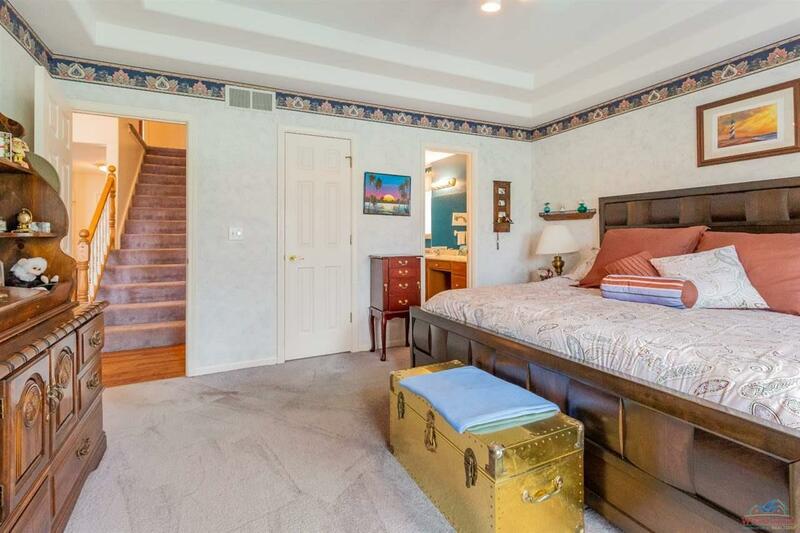 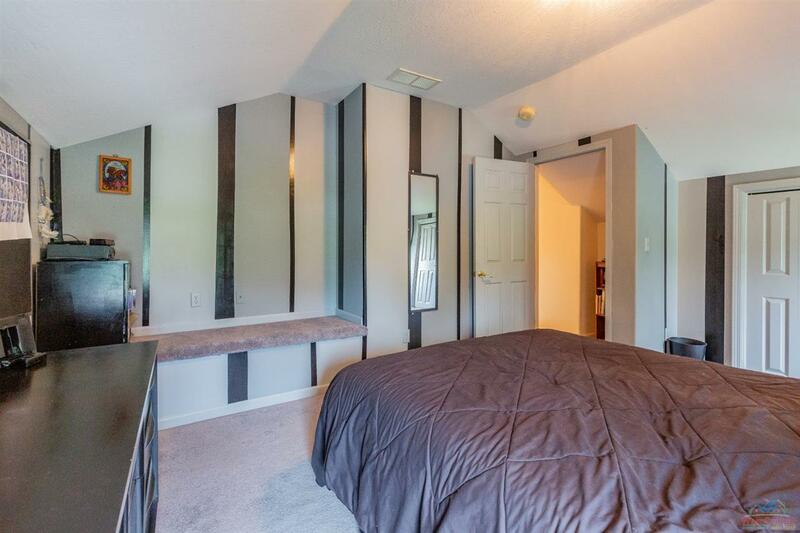 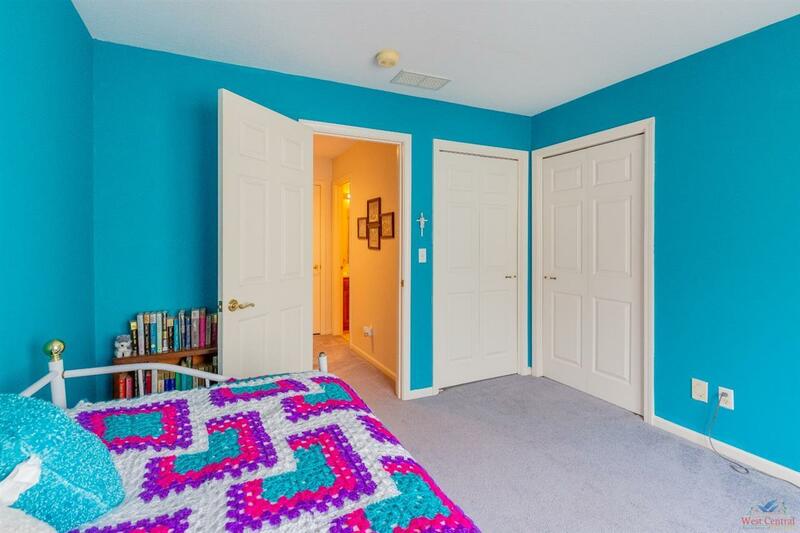 Upstairs you will find 2 more bedrooms (one includes great little reading nook) and another full bath. 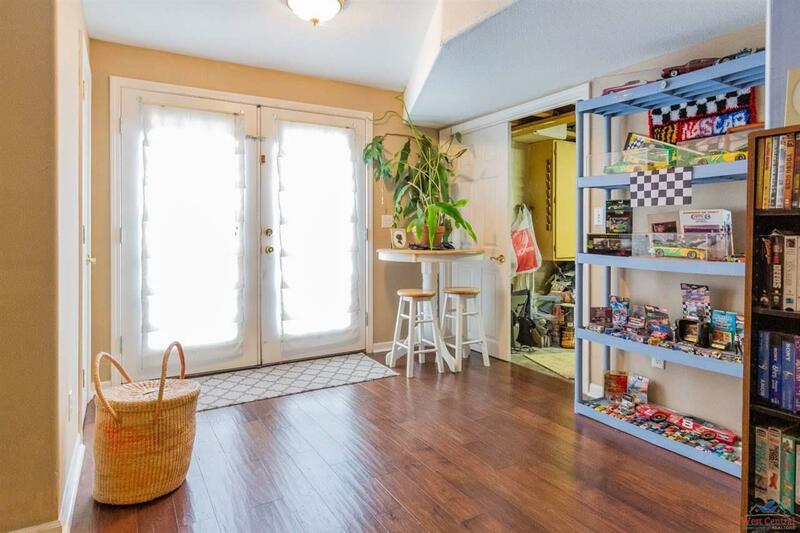 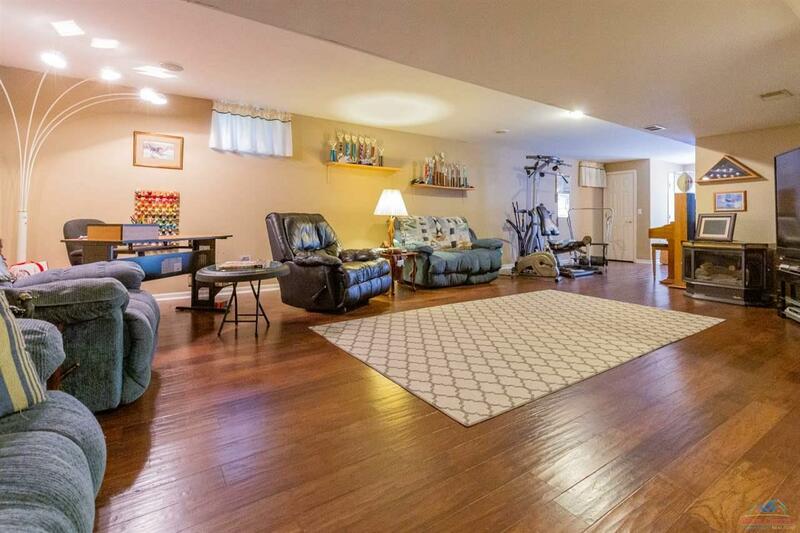 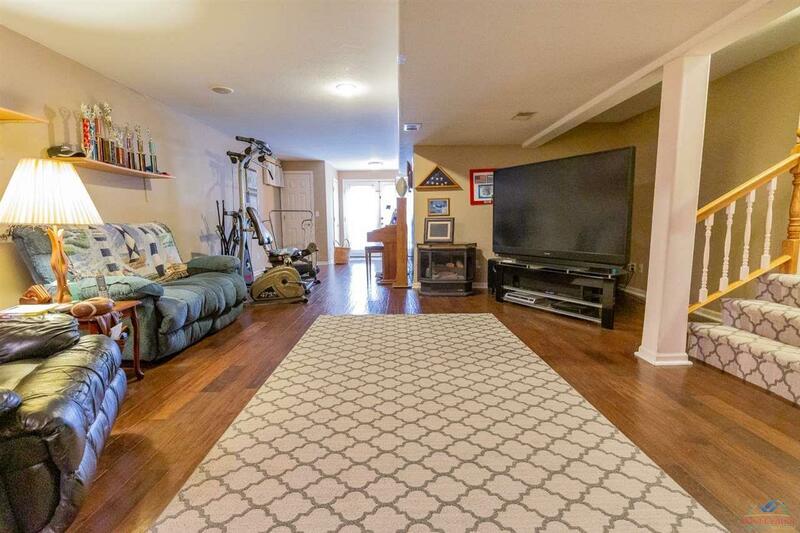 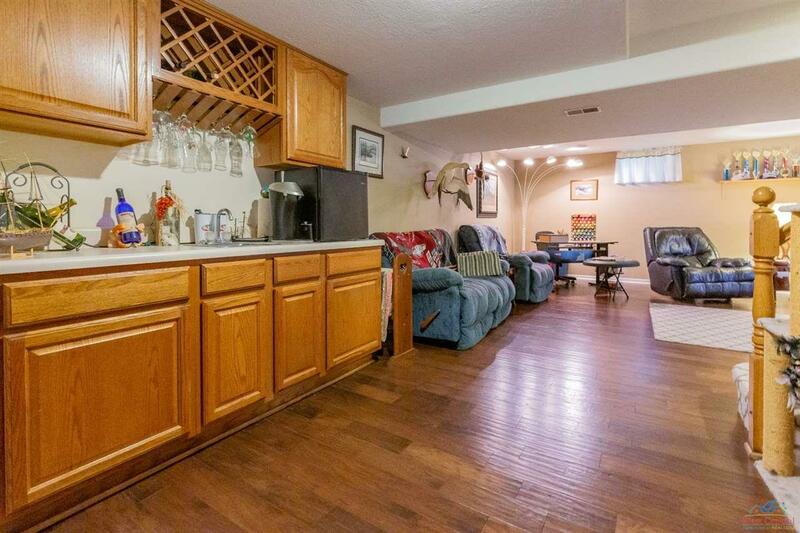 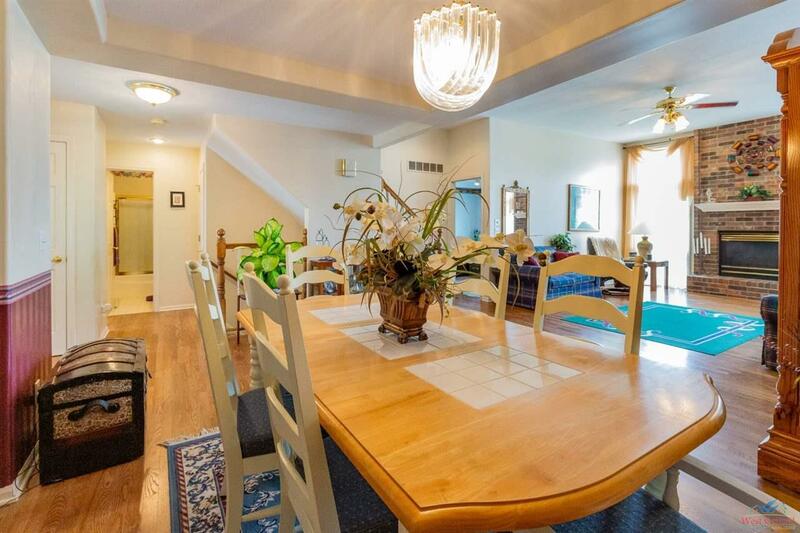 The full walk-out basement consists of a very large open family room, a wet bar, a half-bath and storage space. 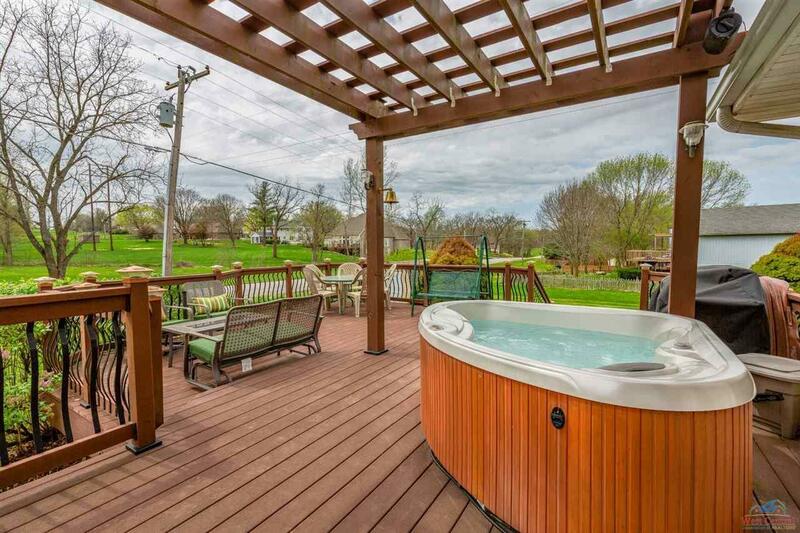 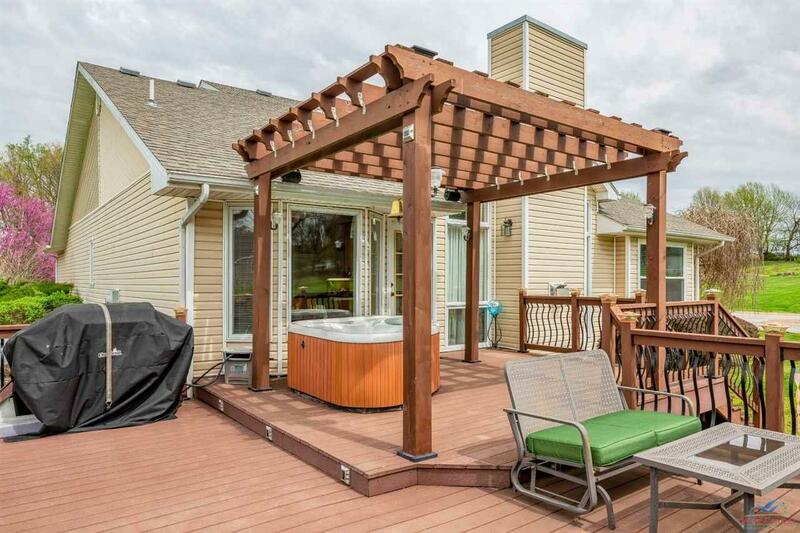 The wooden back deck is the perfect space to hold your Summer barbecues and has a hot tub for cooler nights. 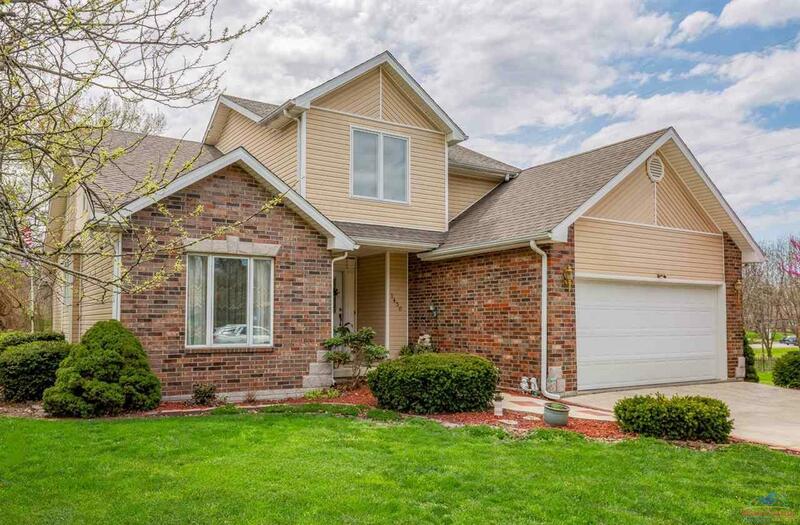 Directions: South On S. Limit, West Onto W. 16th Street, Keep Following On W.16th/Highway Y Around The Roundabout, North Onto Timber Ridge Drive, Home Will Be The First On The Left.